An exit ticket is a type of formative assessment used to check for mastery of a particular standard or learning objective. The perfect example of powerful simplicity, exit tickets gather focused data which you can use to drive future instruction. 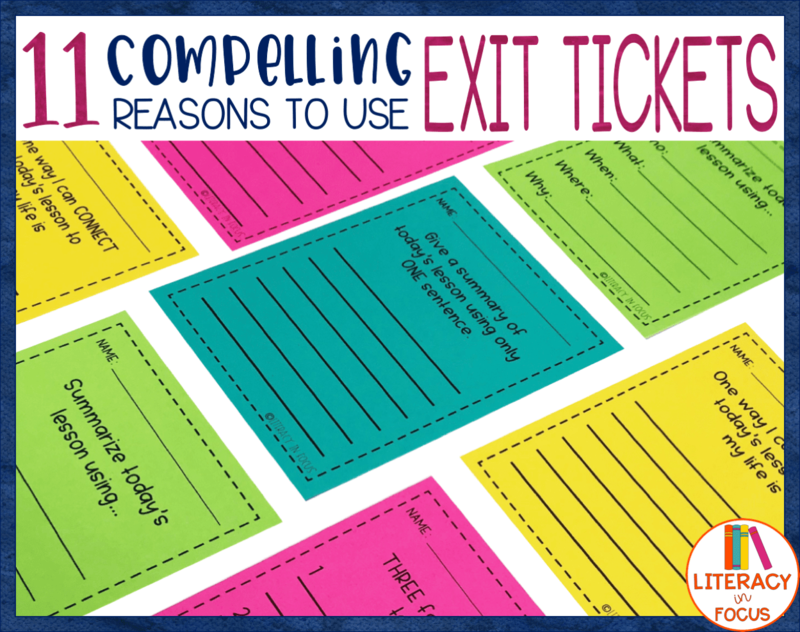 There are many reasons to incorporate exit tickets into your teaching routine. I elaborate on eleven of them in the post below. Exit tickets are a great way to document student learning, check for understanding, or emphasize the main points of a lesson. Ending the lesson with a straightforward focus on the objective gives students clear expectations for learning. It is also an informal and low pressure way to gauge student progress. 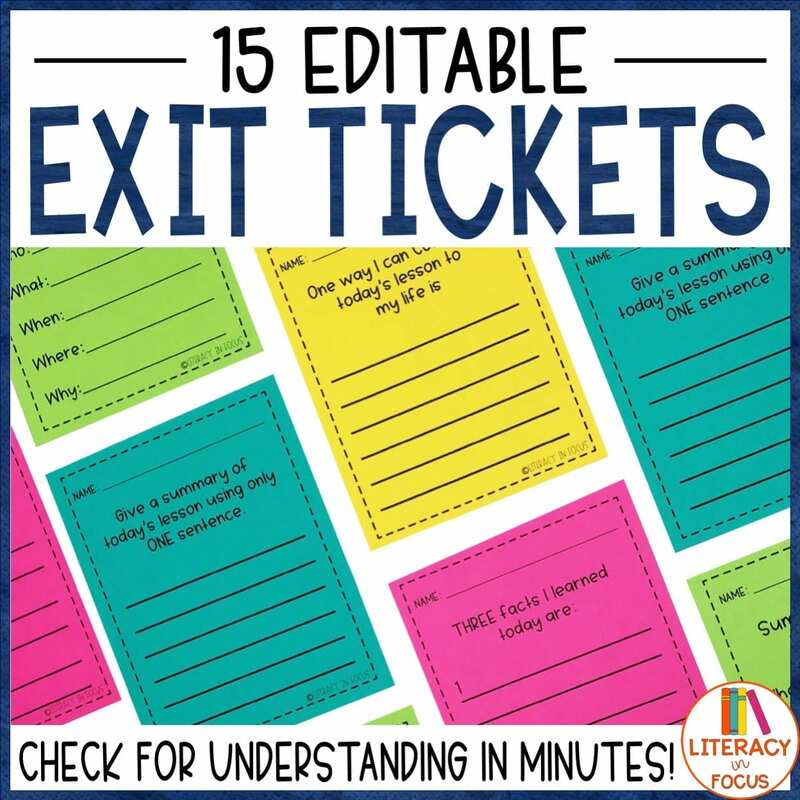 Exit tickets can be differentiated to meet the needs of all learners in the classroom. After establishing a routine with exit tickets, you will know how and when to modify them in order to meet the needs of your students. As long as the exit ticket is linked to the learning objective, or shows mastery of a particular standard, it will provide meaningful results for all types of learners. Also, using a variety of different formats ensures all students have an equal opportunity to show mastery. You can use the data provided from an exit ticket to differentiate, modify, or reteach a lesson. In a few minutes at the end of a lesson, students are able to respond to a prompt that will provide you with information that otherwise may have gone unnoticed. Additionally, exit tickets can also be used to drive small group instruction. Forming student groups based on strengths and weaknesses, for example, is one way to apply the assessment data. Exit tickets provide you with immediate feedback. Feedback that can be used to adjust instruction based on student needs. 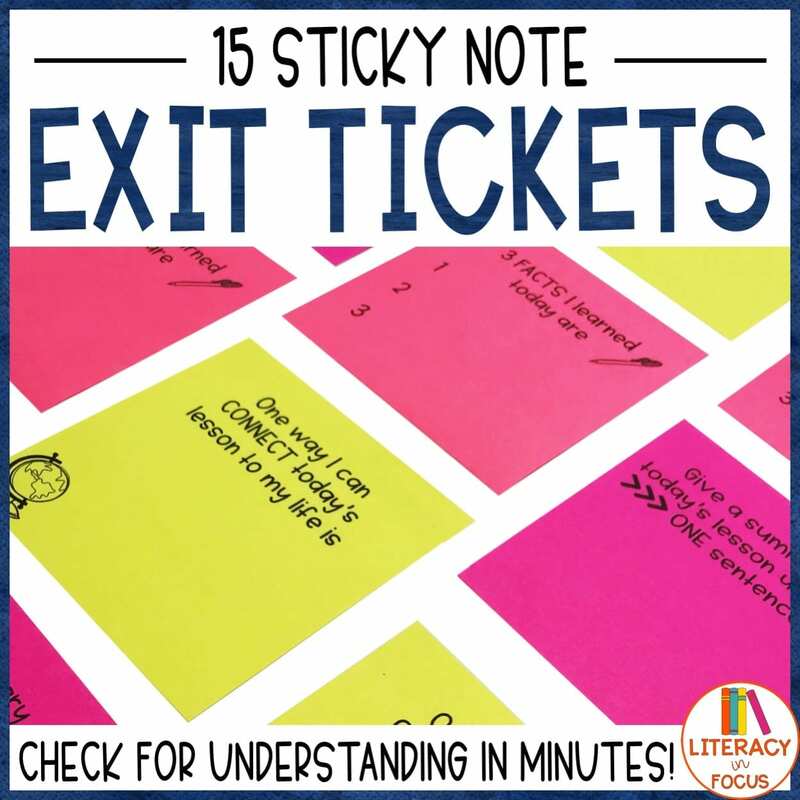 If used thoughtfully, exit tickets can provide minute-by-minute evidence of student learning. Reteaching no longer has to wait until the end of a chapter or unit. Evaluating the effectiveness of instruction can happen mid-unit. The moment students start to fall behind. In addition to providing student feedback, an exit ticket can be used to assess teaching, or as a survey on the process of instruction. 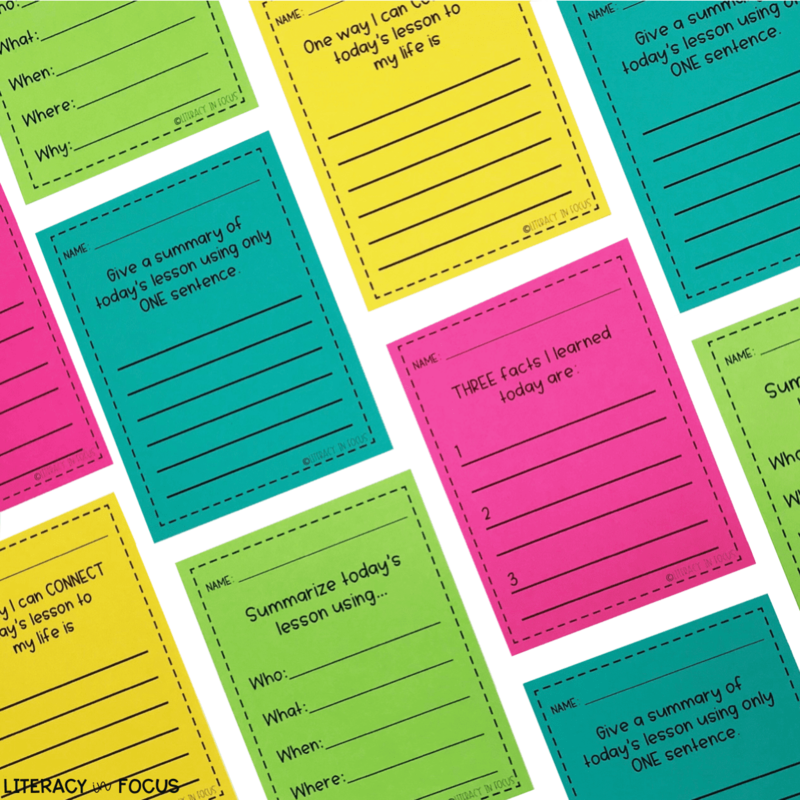 Exit tickets can be used as a tool to monitor student progress. Serving as an additional assessment or benchmark, exit tickets can be placed in student portfolios to track progress over time. Routinely using exit tickets, or short formative assessments, will help to identify and address gaps in learning. Formative assessments can also be used to determine the level of knowledge students have about a particular subject prior to starting the lesson or unit. An exit ticket can be used as a measuring tool, especially when it comes to assessing the understanding of core concepts ahead of time. Similar to other types of formative assessments, exit tickets are extremely versatile. 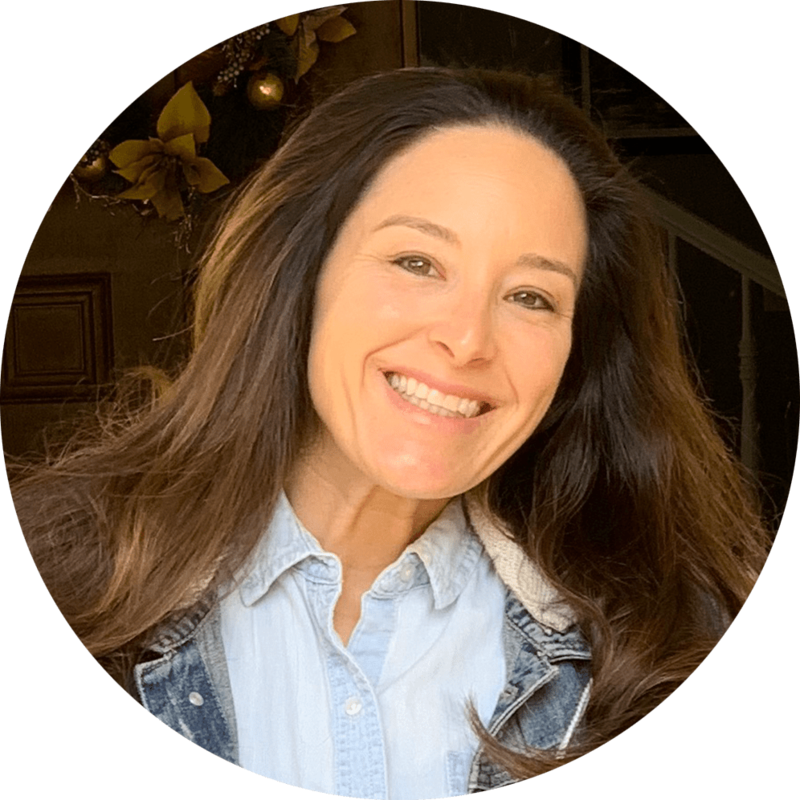 When it comes to format, the structure of an exit ticket is extremely adaptable. 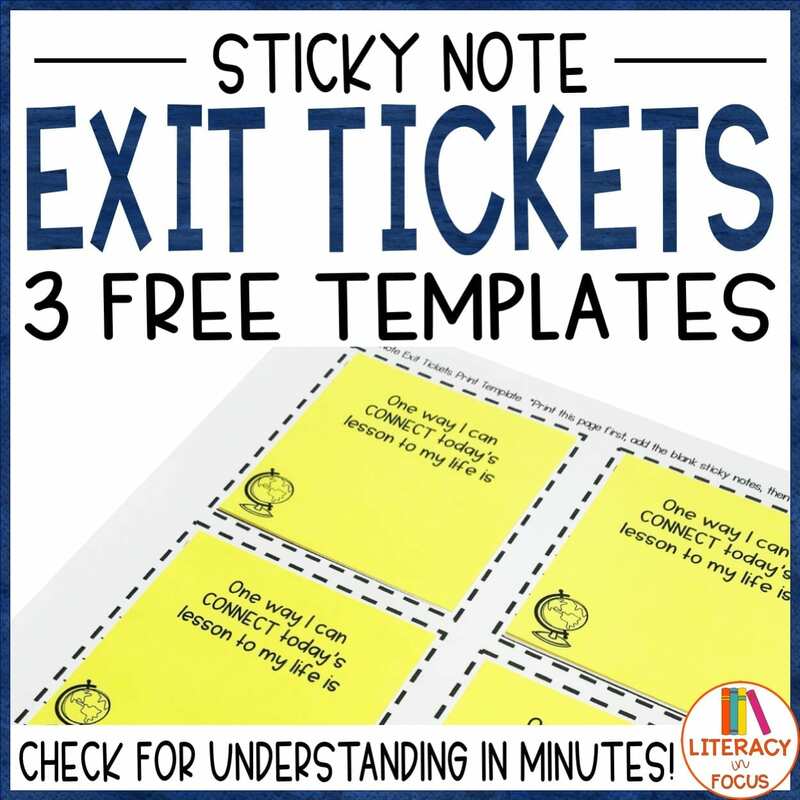 Exit tickets can be used digitally, verbally, in small groups, and even on sticky notes. 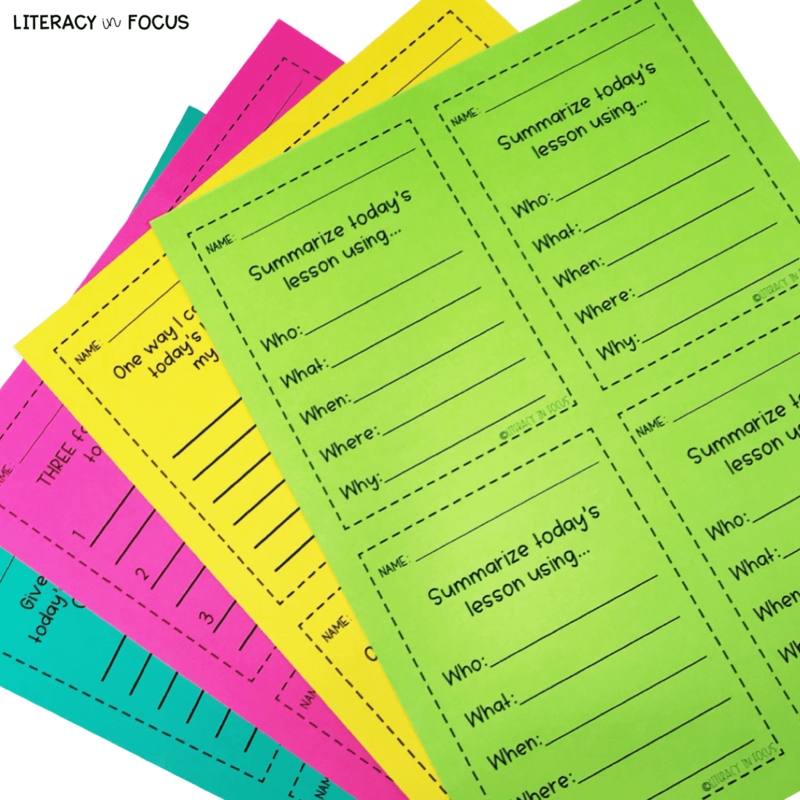 In terms of function, there are at least four types of prompts that teachers can use with exit slips, each having a different intended outcome: provide formative assessment data, stimulate student self-analysis, focus on instructional strategies, or open lines of communication with the teacher. An exit ticket is an additional opportunity for your students to think critically about the content. It is a short formative assessment that requires students to think deeper, apply, and synthesize learning. Exit tickets allow students that don’t typically raise their hand to contribute to the class and generate on-the-spot feedback. 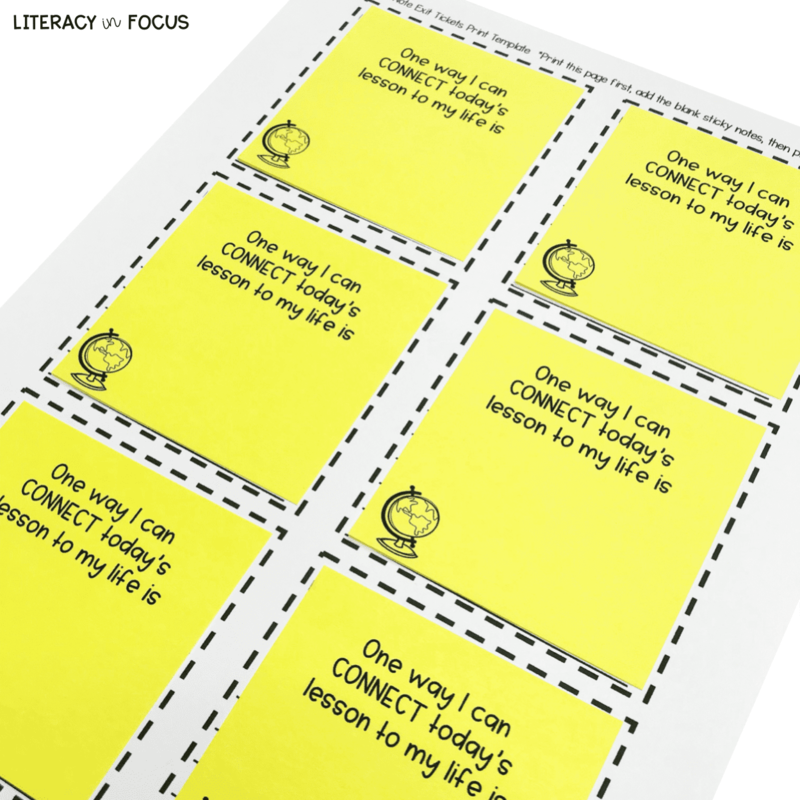 Allowing for students to communicate in written form using an exit ticket, for example, gives students an additional method for showing mastery of the content. Giving students opportunities to voice their opinion promotes agency and autonomy over learning. An informal assessment can act as method of communication. Using applications like polleverywhere.com, the process becomes even easier. Students can use their tablet, smart phone, or computer to fill out exit tickets, and these apps can immediately compile the information for teachers. In mere minutes, you will have meaningful data that you can use to drive instruction. While there are many benefits to teachers, utilizing exit tickets also benefits students. Your students will be able to reflect on the process of learning. If they didn’t understand a particular concept, for example, the exit tickets may help to identify the problem. Learning to self-assess is skill that takes time to develop. 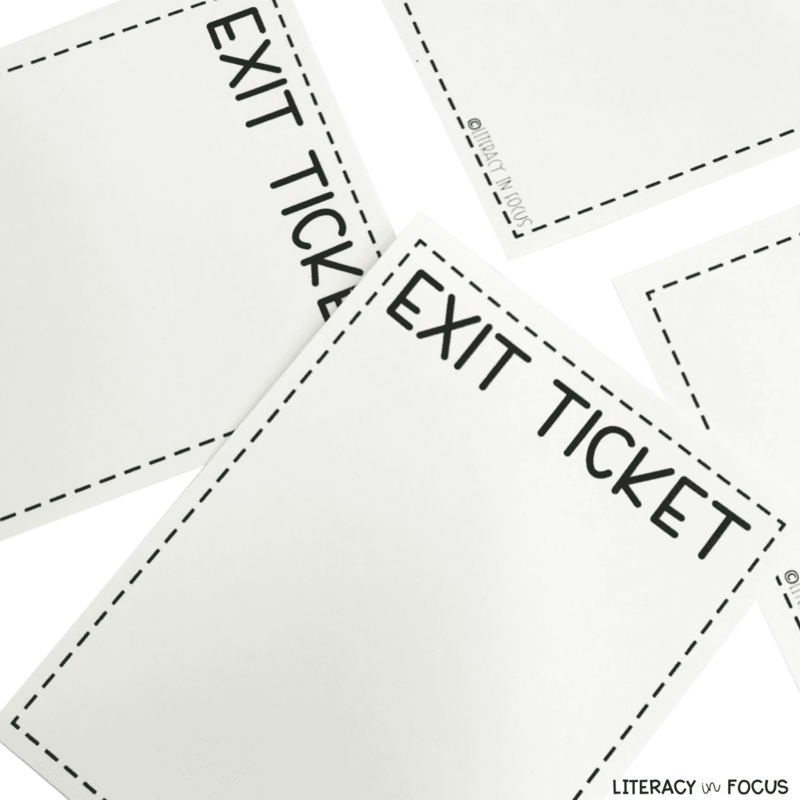 An exit ticket provides students with a method for assessing their own learning.